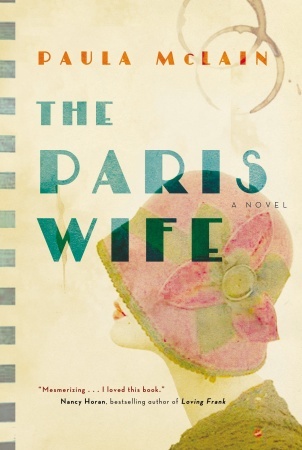 I knew little about Hadley Richardson, Ernest Hemingway’s first wife, before I picked up Paula McLain’s The Paris Wife. I’d seen only a few black and white photos of her in Boris Vejdovsky’s Hemingway: A Life in Pictures and a library copy of the Biography Channel’s episode on Hemingway. I haven’t even read A Moveable Feast, Hemingway’s portrait of his life in Paris with Hadley, which has been on my to-read list since high school when I saw it quoted in that terrible romantic tragedy, City of Angels. In her first work of historical fiction, Paula McLain gets inside the head of Hadley, the 28-year-old who captures the attention of a much younger Ernest Hemingway in 1920s Chicago. The pair begins an affair that intensifies through letters after Hadley’s trip to Chicago comes to an end. It’s in one of these letters that Ernest proposes, and before long, the couple finds themselves on a journey to Paris. As Hadley waits for each letter to arrive, I found myself waiting, too, captivated by McLain’s ability to capture the young Hemingway’s charm. Though most of Hemingway’s letters to Hadley haven’t survived, Hemingway kept each of the hundreds of letters she sent him, which helped McLain to illustrate the couple’s chemistry in The Paris Wife. Most of The Paris Wife is written in Hadley’s voice, though a few passages are seen through the eyes of Ernest. At times, I wanted to shake the naive Hadley awake, frustrated as she stands by Ernest's side, even when he's pining for the nurse he fell in love with during World War I and when he begins to show signs that he's the womanizing brute known to history. I read a lot of fiction and a lot of books about history, but The Paris Wife was my first exploration of historical fiction, at least since I was devouring books about witch hunts and the Underground Railroad for middle school book reports. Because I'm such a lover of history, I'm always skeptical of authors giving voice to real people who can no longer speak for themselves; however, I walked away from The Paris Wife with a new-found appreciation of the genre. Though McLain's Hadley was often sickly sweet, she was endearing, and without The Paris Wife her story may have mostly been told through scattered black and white photographs and the odd footnote in biographies about Ernest Hemingway. "This man I have loved, off an on, is leaving tomorrow, and, as usual, I don’t know when or whether I’ll see him again. The men in my life are always like the countries I visit: I fall in love briefly, and then move on. I visit, regard the wonders, delve into the history, taste the cooking, peer into dark corners, feel a few moments of excitement and maybe ecstasy and bliss, and then, while I am often sad to leave — or stung that no one insisted I stay — I am on my way." I’ve written before about Joan Didion’s ability to punch me in the gut and send me into fits of nostalgia. Her lyrical sentences entrance me, stinging my heart as they percolate in my mind. Somehow, Didion’s reflections of her own life always cause me to pause, forcing me to recall the times and places and people I’ve known that are now long gone. Her latest memoir is no exception, stirring up feelings of nostalgia, and at times, melancholy. Blue Nights is murky and sorrowful, recalling the grief and questions that filled Didion’s mind following the death of her only daughter, Quintana Roo, in 2005. Didion offers vague and sparse details about her daughter’s life and illness, which irritated some reviewers; however, Blue Nights isn’t a book about Quintana Roo. It’s a book about the survivor scars that Didion bears, especially those of grief and regret. Didion doesn’t only mourn her daughter’s death in Blue Nights, but also the deaths of countless friends and family members, including her husband, John Dunne, who died suddenly in 2003. Unlike other memoirs about loss, Blue Nights does not leave readers feeling hopeful or optimistic that life regains purpose after a loved one dies; rather it seems that the weight of Quintana Roo’s death is heavier than frail, aging Didion can carry. Unlike in her last memoir, A Year of Magical Thinking, in which Didion contemplates her life without her husband while Quintana Roo clings to life at a nearby hospital, Didion does not exude any feelings of hope. 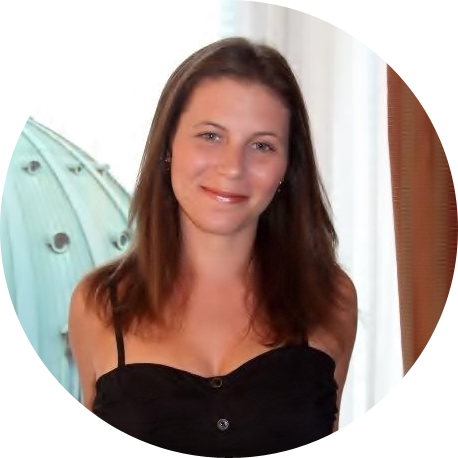 Instead, she simply goes through the motions of her daily life, visiting doctors for various ailments and trying to write, an action that no longer comes easily to her. Didion’s stark honesty about loss and aging is startlingly authentic, if not ominous, to readers, yet this is what makes Blue Nights a must-read. While I realize that I risk sounding cheesy by saying this, the greatest thing about Blue Nights is the book’s ability to subtly urge readers to pay greater attention to the moments and people before they pass, before they become symbolized only by mementos strewn and abandoned in shoe boxes and drawers.